After six months I’m now at the half way mark for the 50k in a year betting and trading challenge. Did September bring me any closer to making this a realistic target? During September I have taken part in 241 matched betting, arbitrage and plus ev accumulator offers. A total profit of £892 was made. My volume was a bit less then August where I did 261 offers. My profit also dipped compared with August. 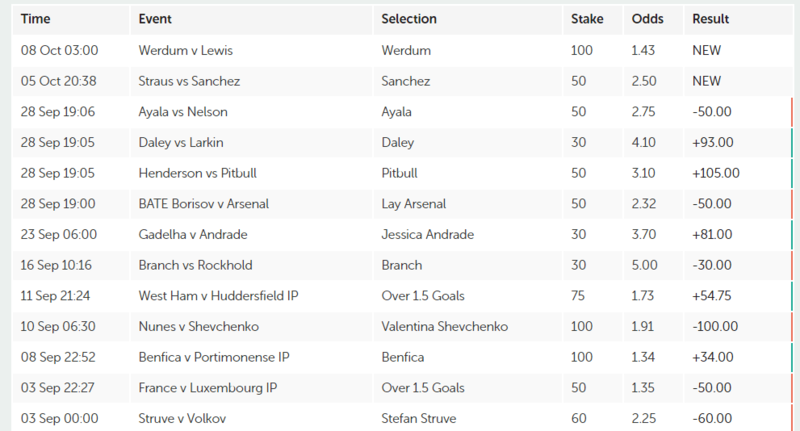 I think this is partly down to letting a lot of the plus ev accumulators run rather then laying for a guaranteed profit. In theory this should even out in the long run so I am not too concerned. Also been making small arbitrage bets with with Oddsmonkey’s oddsmatcher software on accounts that I have been promo banned from. This brings in small continuous profits that help cushion the variance of the accumulators. 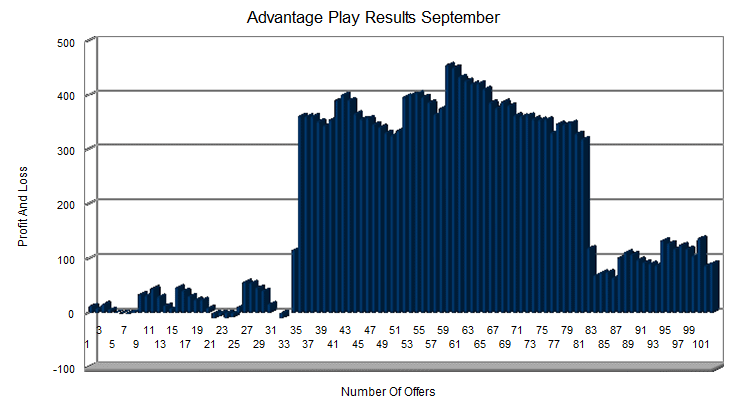 September marked the worst month so far in terms of profit from Advantage play offers. It was looking quite good at one point after a few wins on some of the lower risk offers started to build up. However a few high risk offers towards the end of the month turned what was looking like an average month into a poor one. Again its just a case of grinding through the variance and continuing to put in the volume. In September I took part in 102 advantage play offers. A small profit of £91 was made. My trading and interest in trading has really suffered the last few months. It basically comes down to time and the lack of it that I can invest into trading at the moment. One of the best ways of trading the football pre match is to react to information before the majority of the market. I just haven’t found myself able to do this very often lately. In September there have been a few trades mostly on secondary football markets. In the match odds I layed Liverpool away at 1.63 Spartak which hit a stop loss of 1.6 pretty quickly. That was it for trades on the match odds market. Feel a little silly for even including this graph, given the tiny volume. 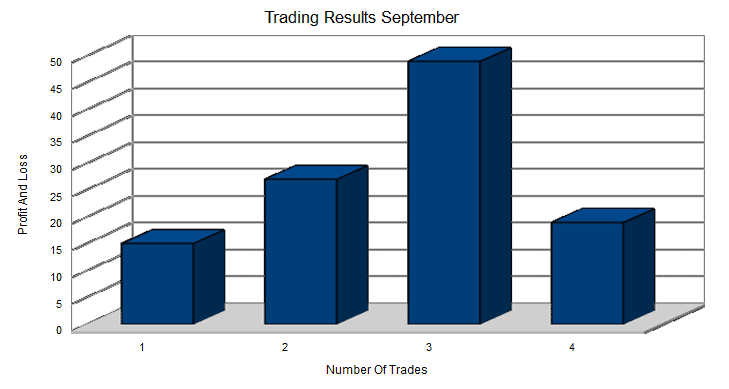 In September there were a total of 4 trades with a profit of £19 being made. The rut continues for Quentin Franks. For a service that was once just continually churning out profit on a monthly basis. It is now showing a loss for the last six months. In total I bet on 66 Quentin Franks selections in September. A total loss of -£216 was made. September was a pretty quiet month for sports betting with only 11 bets. A small profit of £27 was made. So I am now halfway through the 50k betting and trading challenge. A few things have become apparent. I have over estimated my ability to put in large volume. Even if a tipster has crushed the last few years making profits every month. Doesn’t mean that it will continue to do so in the future. I would have loved to be smashing it out of the park every month. It would probably make better reading also and bring more traffic to the blog. But the reality of trying to make money from sports betting is that things aren’t always going to go smoothly. Whilst I will still admit to being a little disappointed that I am not as close to hitting £50,000 profit as I would have hoped, after six months. It isn’t going to change my approach. It is something that is said over and over. But making decent money from the sports betting markets requires a few things. an edge, a bankroll and time. So all in all I’m just going to keep grinding all of the edges that I have. (Which you can replicate too). For as long as they remain available. First of all I would just say that I find it extremely interesting to follow your “quest” on getting 50K within a year. It’s starting to look difficult though… Mainly, I believe, due to the horse betting which is much below par. I have read some comments about Quentin Franks Racing service elsewhere and it certainly seems like he has lost the edge. One thing that also seem to be mentioned a lot is that the quoted odds are pretty much impossible to replicate. Don’t know if you experience the same? I understand that sports betting is a marathon rather than a sprint (and certainly for you in this case given the year long challenge) but 6 months without a winning month just doesn’t give you the confidence that it will turn out good in the end. 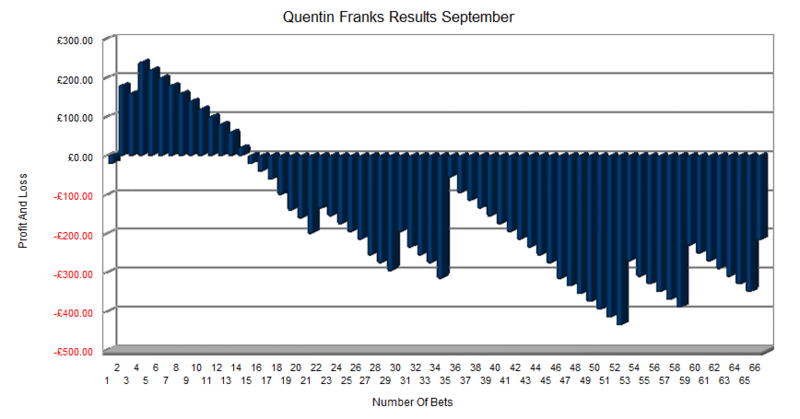 Another thing, I think you have forgotten to include the Banker Bets part in September and instead have included the August results for Quentin Frank. Anyway, keep up the updates as they make a fascinating read. Thanks for your comments. You may be right about Quentin Franks and it is extremely tough to replicate the quoted odds. But you can often fairly close to the odds if you prepare yourself around the time periods bets are usually sent. With recent results however the time spent trying to match these odds hasn’t really been worth it. You are right about sports betting. You have to take a very long term view which is why I don’t want to drop Quentin Franks too early. 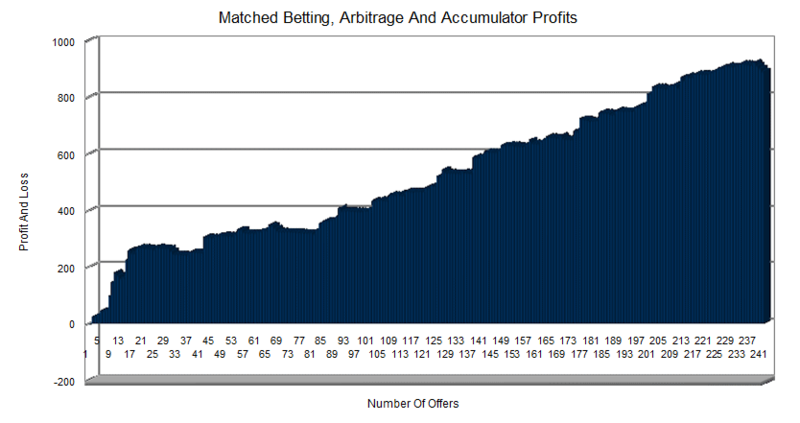 My long term aim has always been to build a bankroll through matched betting, arbitrage. casino offers. Then use it to invest in sports betting. I have been considering a beta test where I try to make money exclusively from tipsters. Separate to the 50k challenge. Just in order to see whether it is really viable or not. Keep it going Ryan, drop QF and get back to footy trading, this will automatically give you a big boost in profits. P.S. Do you show overhead costs? For example subs and software costs.